Point2 Homes gives you far more than a simple list of houses for sale. Get instant access to a lot of relevant information about Clarington, ON real estate, including property descriptions, virtual tours, maps and photos. The search results pages also have a wealth of information on Clarington, ON, if you scroll all the way down. There are 259 houses for sale in Clarington, ON. 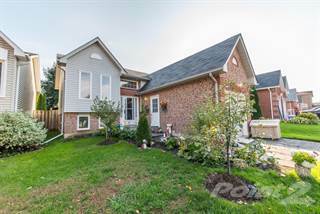 Searching homes for sale in Clarington, ON has never been more convenient. With Point2 Homes, you can easily browse through Clarington, ON single family homes for sale, townhomes, condos and commercial properties, and quickly get a general perspective of the real estate prices. Also, you’ll never miss a bargain if you filter listings based on house price drops in the past six months. Use the map view to find Clarington, ON homes and apartments for sale, based on amenities or city features that you may want close by. You can close in on a specific neighbourhood or area by simply drawing around them with the polygon or radius tools. Stay informed about the latest entries on the real estate market by saving your searches. This way, you get new listings in your inbox, daily or every week, based on your preferences. If you’d like to get in touch with a professional, agents are displayed next to their listings, and they’re easy to contact through the online forms. 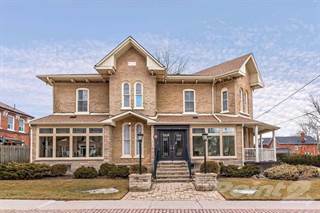 If you want more options, you can click the Tools tab and Find an Agent, and you’ll get a list of helpful and knowledgeable real estate agents in Clarington, ON. Visit the Point2 Homes blog and you can find up to date expert advice on many markets throughout Canada, regular market reports, neighbourhood scoops in cities throughout the provinces, real estate deals and useful recommendations. Clarington is a municipality located in Southern Ontario. It was formerly known as Newcastle until the name was changed in 1994. It currently hosts a population of roughly 84,000 people and takes up a total land area of around 610 square kilometres. Its name is a combination of "Clarke" and "Darlington", two former townships that each make up a part of the municipality. Clarington is home to the Durham York Energy Center, which is responsible for taking waste and converting it into electricity that can be sent for use by Hydro One and its distribution network. Because of the incredibly high maintenance that this generation unit requires, it employs a lot of local workers in this tiny city. With the large approval of residential permits to build new housing units and business operations, there will be a very strong demand for workers and construction companies to build these properties. The companies that can get their hands on developing these properties will see a significant amount of business and profit over the next decade. In turn, this will drive the economic growth of Clarington even further. Clarington is also very friendly towards newer businesses that are just starting up. As a nice bonus, the city does not require business licenses. However, permits and other processes are required for constructing new buildings or renovating an existing building. One of the major attractions in Clarington is the Canadian Tire Motorsport Park. This multi-track venue hosts numerous events throughout the year that includes NASCAR, the Canadian Superbike Championship, the IMSA WeatherTech SportsCar Championship, and much more! It also comes with a Driver Development Center for those who are interested in receiving one-on-one instruction for learning how to race professionally. The Canadian Grand Prix (Formula One) was formerly hosted here until the 1970s when the race moved to a Montreal circuit. When it is not being used as a racetrack, it has also been the site of numerous music festivals over the years. If you like animals, a place that comes highly recommended is the Jungle Cat World. Visitors will get to see the zookeepers feed large animals as part of an educational tour that is offered by the zoo. For those who aren’t scared of touching the animals, some of them will be taken out of their display and presented to the audience. It also features a “Safari Zoo Camp” where kids from ages of 6 to 21 can stay overnight for a few days and get an insider’s look at how the zoo is run. Clarington is officially divided into four major sections: Clarke, Darlington, Bowmanville, and Courtice. Clarke is the busiest community of all, being home to several big box stores and several local markets where fresh produce is sold to the residents. You can also expect to find churches and antique stores here. Time your visit right, and you can catch the Orono Fair! Over 30,000 people attend to see the best in authentic small-town food, farm exhibits, and talent shows. Darlington is the most rural of all the four major communities in Clarington. Most of the outdoor amenities that include provincial parks and hiking trails are located here. It is rather quiet in nature, and that attracts people who are looking for that kind of quality in their neighbourhood. Bowmanville is home to the Canadian Tire Motorsport Park that was previously mentioned. Additional amenities include the local waterpark known as the Cedar Park Resort and the Ontario Falconry Center, a great facility for getting up close and personal with some of nature’s most predatory birds. Courtice is home to the South Courtice Arena, a massive sports complex that contains two ice rinks, a football turf, an indoor pool, sauna, weight training facilities, and many more. It is considered to be one of the main things that draws everybody in this community together. There is also nearby access to Highway 401, allowing for easy commute to other parts of Clarington along with major cities in the Greater Toronto Area. As previously mentioned, Darlington is the most rural section of the four that comprise the entirety of Clarington. Most of the homes here are very large detached houses with front yards and backyards that take up many more times the space of the house itself! Some of the most expensive homes in the municipality can be found here, which makes them particularly attractive for wealthy families and individuals. In spite of the differences these two areas have, Clarke is also very similar in terms of the housing that is made available to homebuyers. 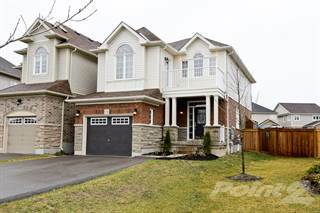 Courtice contains several types of homes within an affordable price range. Prospective homebuyers can expect to see farms, detached residential homes, semi-detached townhomes, fully-attached homes, some commercial properties, a couple of low-rise condos and some rental apartments. This area is quite suburban in nature, with many of the homes being placed relatively close to one another. Bowmanville possesses similar characteristics to Courtice, except that the homes are much larger in size, more modern in design, spaced further apart from one another, and consequently come with a higher price tag. There are a small number of secondary schools to choose from in Clarington. It is worth noting that there are no post-secondary institutions in the municipality, and therefore students will leave the city to pursue college or university education in more populated cities within the Greater Toronto Area. There are 33 elementary schools (K-8) that are available for children to attend in the municipality of Clarington, most of which are under the Kawartha Pine Ridge District School Board. Some of the top schools in Clarington include Central Public School, Dr. Emily Stowe, Newcastle Public School, and Vincent Massey Public School. These schools are ranked based on a combination of EQAO scores, crime within the vicinity of the school’s location, and the demographics of the families that are enrolled in the school. Clarington is home to the Durham York Energy Center, which is responsible for taking waste and converting it into electricity that can be sent for use by Hydro One and its distribution network. Because of the incredibly high maintenance that this generation unit requires, it employs a lot of local workers in this tiny city. With the large approval of residential permits to build new housing units and business operations, there will be a very strong demand for workers and construction companies to build these properties. The companies that can get their hands on developing these properties will see a significant amount of business and profit over the next decade. In turn, this will drive the economic growth of Clarington even further. Clarington is also very friendly towards newer businesses that are just starting up. As a nice bonus, the city does not require business licenses. However, permits and other processes are required for constructing new buildings or renovating an existing building.